Mario, also known as “Mr. Nintendo”, occasionally, is one of video games’ best heroes! Although he is best known as a plumber, he has also been a carpenter, a doctor, a boxing refree, a tennis pro, a racing kart driver, and a golfer! He started off as Donkey Kong’s adversary, but then volunteered his help in ridding the Mushroom Kingdom of the evil Koopa King, Bowser, and the two have been rivals since! 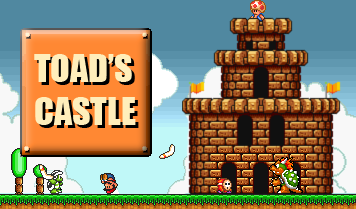 Mario’s basic attacks include jumping, punching, and kicking, as well. He is also very good with a hammer, and can shoot fireballs! Mario has had many adventures in his time, and they are not about to end soon!